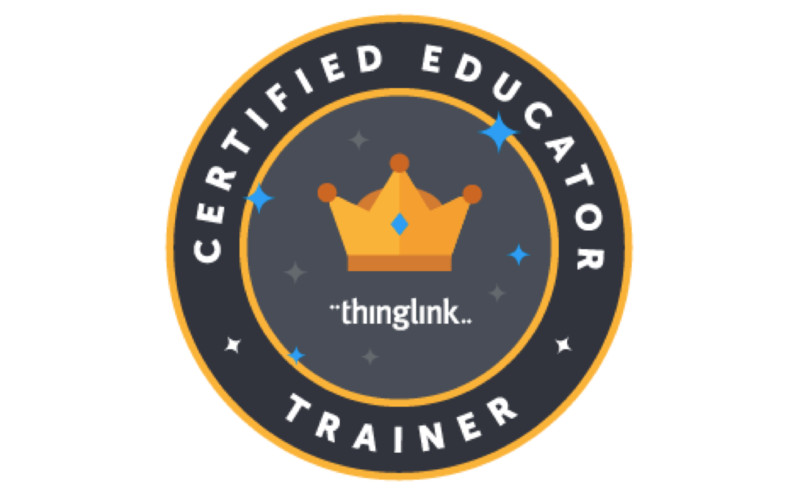 ThingLink is a powerful tool for creating resources that can be reused and easily adapted to meet the changing needs of educators and their students. When users create an interactive image or video, it can be easily updated with new resources by adding new tags. Tags with outdated resources can be deleted or modified on the spot. Did you know you can transform a ThingLink by replacing the background image while keeping the tags in tact? The Replace Image feature, available with ThingLink EDU Premium, allows users to replace the base image of any ThingLink by simply uploading a new one. This is useful for polishing up your base image, but it can also be an easy way to transform an outdated resource into something new and useful. In the fall of 2011 I was very busy building my digital toolkit of web 2.0 resources. 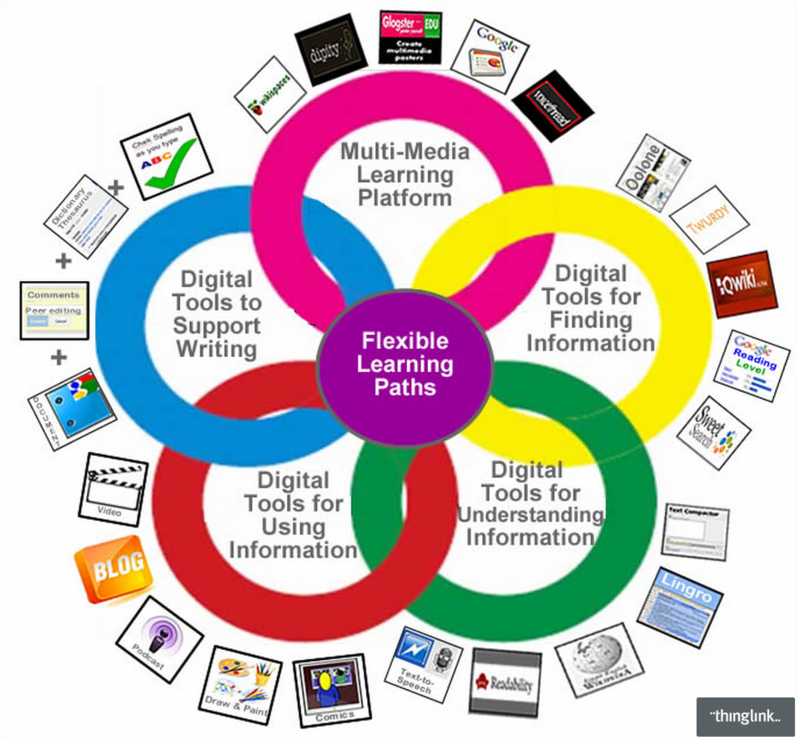 At that time I had already fallen in love with ThingLink, so I used the tool to create a collection of resources titled Flexible Learning Paths to guide the learning during a full day hands on workshop on Digital Differentiation at the Illinois Computing Educators Conference. Pictured below is the base image for an early model of this resources, unfortunately the original no longer exists. In 2011 web 2.0 tools were disappearing as frequently as they were popping up. This can be seen by focusing attention on the Digital Tools for Finding Information section of the image below. Today all of the resources in that section have disappeared, except one. To keep my collection of tools updated and useful in the early days, I had to recreate the interactive image from scratch to update it with new tools. There were 26 tags on the original image and recreating it took quite a bit of time and effort, but the resources was an incredibly valuable teaching tool, so I updated it manually a few times. The Replace Image feature allows me to easily update this resource in just a few minutes. I simply use an eraser tool to edit my base image, click the Replace Image button below the ThingLink image to upload it, and replace only the outdated tags. The Replace Image feature makes it easy to build resources that are sustainable. Having the ability to easily update this image has allowed it to be an actively used resource since it was first created in 2011. 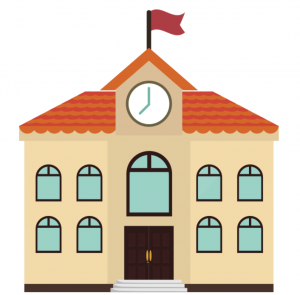 It has been shared through numerous webinars, training sessions and conferences. In fact, it was shared at ISTE 2015 during 3 separate sessions this summer. Stats on the image tell me it has been embedded in other web spaces 210 times over the course of the past 3 years. The real value here is that anyone who took the time to embed this model into their own web space has the benefit of having the most current model because every time I updated it, the changes appear across the web! Creating this Digital Differentiation model with ThingLink has allowed me to continue to use this resources as I grow as an educator and presenter. Watch the tutorial below to learn how easy it is to transform a Thinglink with the replace image feature available with our EDU premium account.